At 6.00 pm on Monday 29th April, 2019, a joint club meeting with Bolton Rotary Club has been planned at the Bolton Rotary Place, Bolton. We have managed to book a fascinating speaker Thom Racine. He is an author and retired Cornwall Police Sergeant. 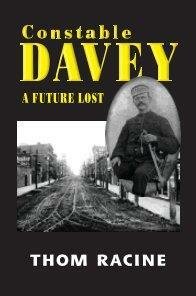 He researched and wrote a book entitled "Constable Dave - A future lost. This is an incredible story of the tragic police service of one Police Constable. It would be very beneficial if you were able to read his book prior to the presentation. Category: Biographies & Memoirs. Published 2nd March, 2013. Softcover. It is an excellent read and well worth the expense. Thom's story on the journey of research and authoring this book is very inspiring with a moving end result.